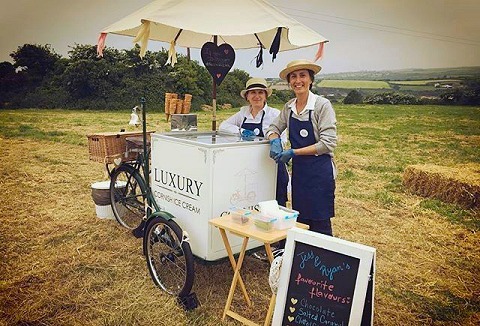 We supply luxury mobile dairy whipped ice cream with a choice of toppings & 99 flakes. Also available hard scooped ice cream & impulse ices. 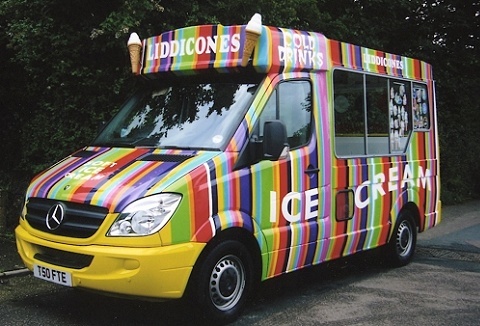 Ice cream vehicles available 7 days for fetes, outdoor events, private & corporate functions across south west. Established in 1981 we specialise in soft serve ice cream, including a wide selection of impulse lines and cold drinks. Our units are low emissions environmentally friendly and where possible using recyclable packaging. 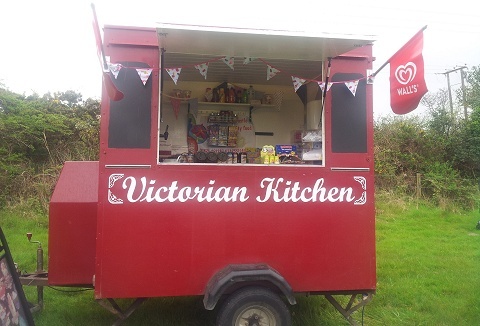 We cater for all outside events. 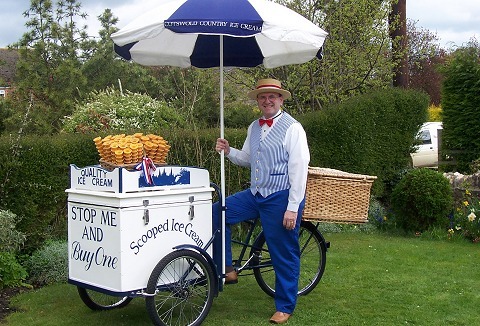 Beautiful 1930's ice cream trike with traditionally dressed staff for any occasion. Bring a smile to your guests and make it a fun day serving the best organic ice cream in the old fashioned way. Trike can be decorated with helium balloons and ribbons. 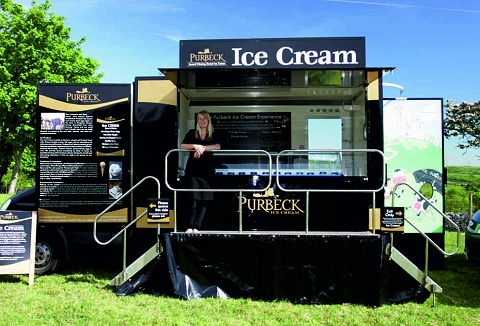 Our fleet of mobile ice cream vans and trailers are available for public to private events. 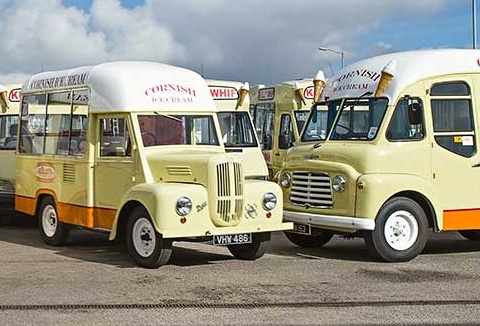 We are able to provide traditional scooping ice cream, or there is the option to book a soft ice cream van. Vehicles and staff are always immaculately presented. 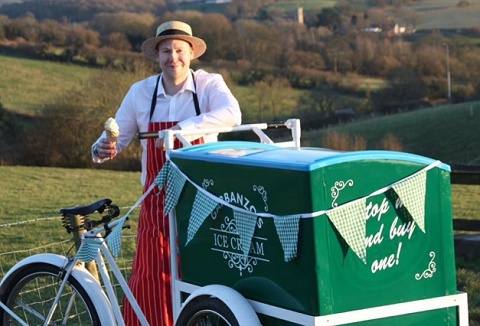 Our traditional ice cream bicycles are an eye catching attraction for your event or function. We serve your choice of the tastiest award winning Marshfield Farm ice cream and with over 30 flavours to choose from there is sure to be something for everyone. 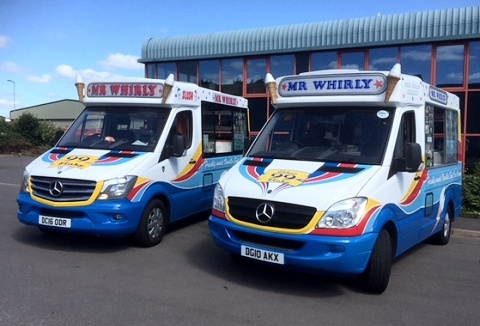 Family mobile catering company with a modern state of the art fleet of original Whitby Morrison ice cream vans serving quality soft ice cream plus a range of impulse products. Uniformed staff are fully trained with at least level 2 hygiene certificates. We can cater for all types of events from horse shows, fun days and sport tournaments to small intimate occasions like birthday and private parties as well as large family events such as weddings. Quality Mr Whippy ice cream, ice lollies and slush drinks. 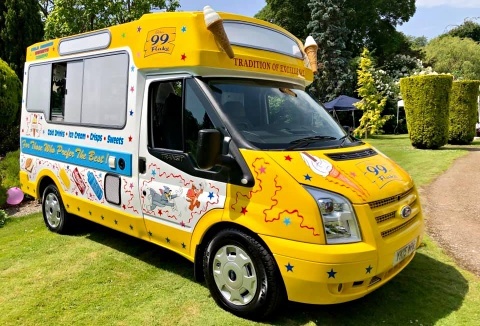 Our qualified professional, uniformed trained staff provide a very high standard of catering from our modern mobile ice cream trailers serving a wide range of traditional ice cream sundaes in a range of flavours and toppings. Available for all events. Our scooping event parlour vans offer our most popular flavours whilst the soft ice van offers a whipped real dairy ice cream and served in good quality waffle cones, gluten free cones or recyclable cardboard tubs. Our staff are dressed in branded livery.